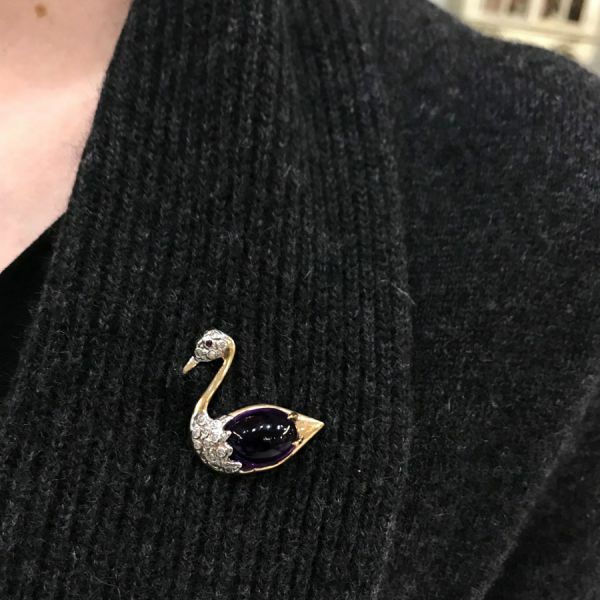 One 14 karat yellow gold swan brooch. 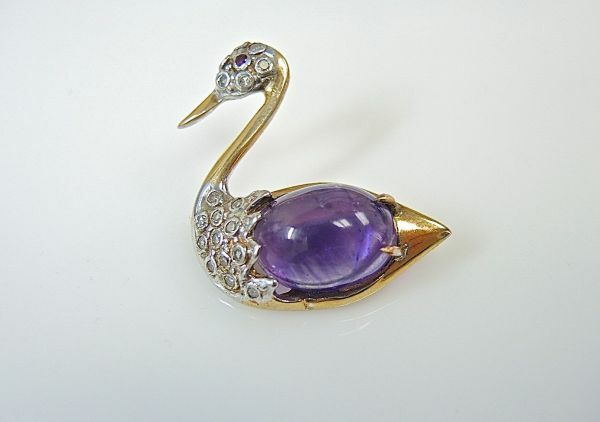 One oval cabochon amethyst (11.23 carats). Eighteen single cut diamonds (0.32 carats: SI clarity: G-H colour). One ruby (0.04 carats).